Brussels: World Trade Organization (WTO) negotiators must “get down to specifics" to clinch a global trade agreement in the coming months or talks may come to a standstill, European trade commissioner Peter Mandelson said. Discussions resumed in Geneva last week on two proposals to cut trade barriers in agricultural?goods,?industrial products and services. 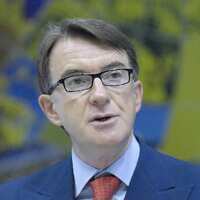 “The next two months will be crucial," Mandelson told a European parliament committee on Tuesday. “If there is no agreement this autumn, any early conclusion will become very unlikely. The US presidential campaign will pick up speed, and the round will head for an indefinite deep freeze." At the same time, emerging economies such as Brazil and India must agree to cut “in a reasonable and proportionate way" their duties on manufactured goods and engage in “a proper negotiation" on special farm products and access to developing countries’ agriculture markets, Mandelson said. EU also must do its part, he said. The 27-nation bloc “should be ready to go as far as it can within our mandate in both agricultural market access and subsidy reduction," he said, adding that the proposals?offered?in Geneva in July are reasonable and attainable. Mandelson said recent turmoil in financial markets underlined the need to achieve an agreement soon. “The cost of remaining concessions that both developed and some more competitive developing countries need to bring into the final package is small compared to the systemic gain of doing the deal, especially as global economic conditions are?becoming more uncertain." Mandelson urged WTO’s 151 governments to accept the texts produced by the chairmen of the negotiating groups as the basis for a final negotiation. WTO chief Pascal Lamy said differences over farm aid and duties on manufactured products may be resolved by November. Lamy and the chairmen aim to present revised proposals next month that can serve as the basis for a final accord later in the year. “Whether this will be the case depends entirely on the negotiating engagement and flexibility of members," Mandelson said. “We all have responsibility for this." The pressure from the EU was echoed by US trade representative Susan Schwab on Tuesday, who urged countries such as India, Brazil and Argentina to make new offers to move along the talks. “We will know within the next four-six weeks whether we are closing the gap or if the whole thing will rupture again," Schwab said. Kathleen Hays in New York contributed to this story.